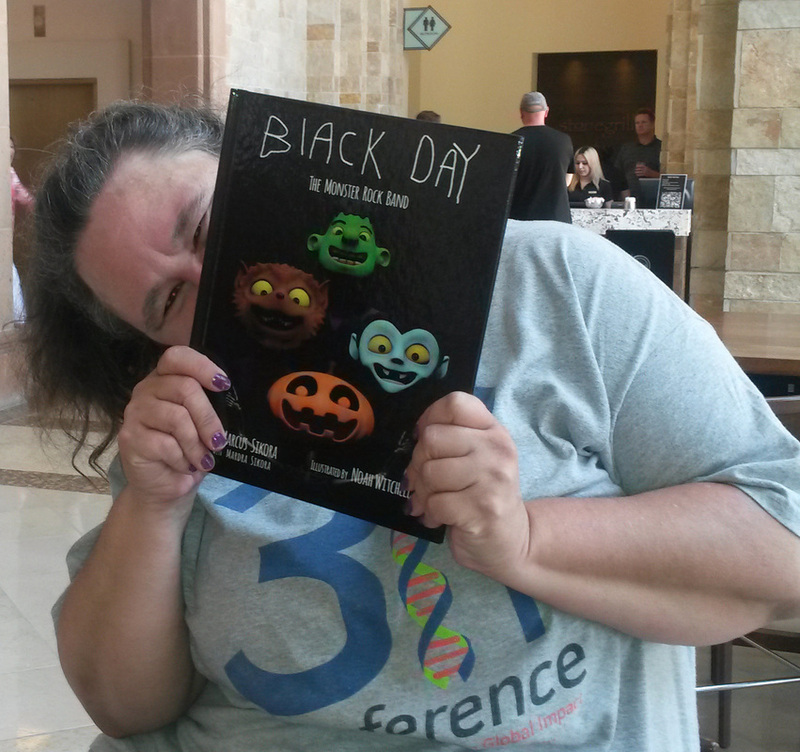 Around the corner, we were celebrating the release of “Black Day – The Monster Rock Band” written by Mardra’s son Marcus.It was a BIG hit and Marcus did a great job autographing his books and helping to sell them! 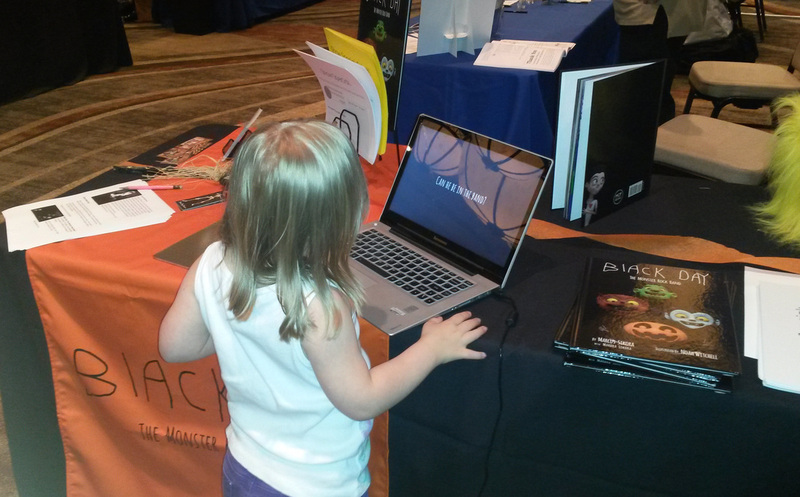 Lots of little people enjoyed the trailer for the animated short film that will be released soon. We also got to take our picture with a member of the band! 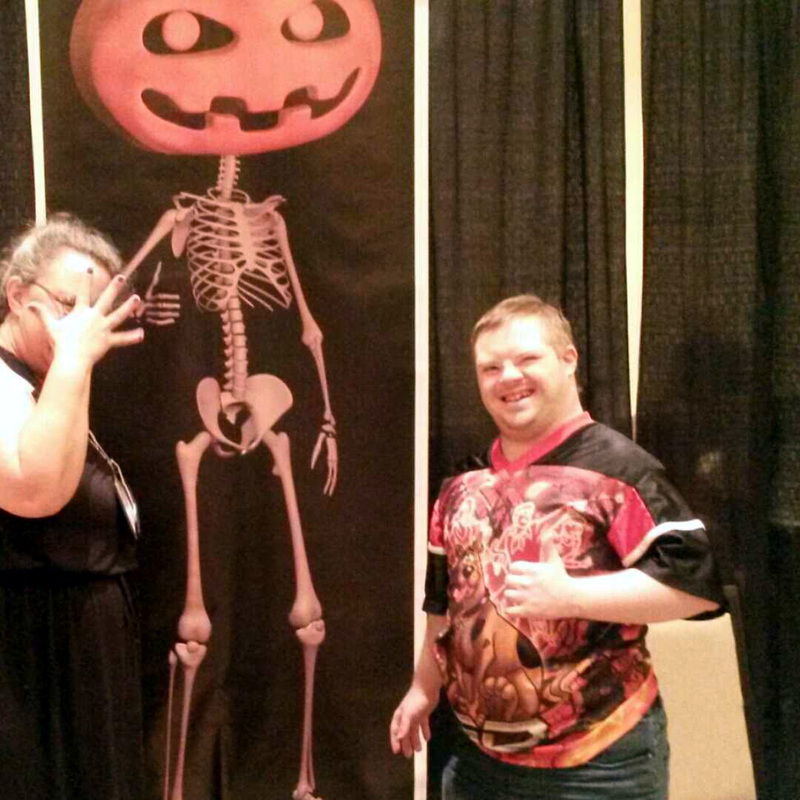 Marcus is the voice of the lead singer in the Monster Rock Band – Skeleton Pumpkin Head. Speaking of meeting our online friends in person, two of our regulars here on The Road, Dev from Raise Expectations and Sam’s Top Secret Journal, and Sean, from Who’s The Slow Learner fame met and became friends! We spotted Sean being followed by a professional camera crew. Can’t wait to see what happens with that! 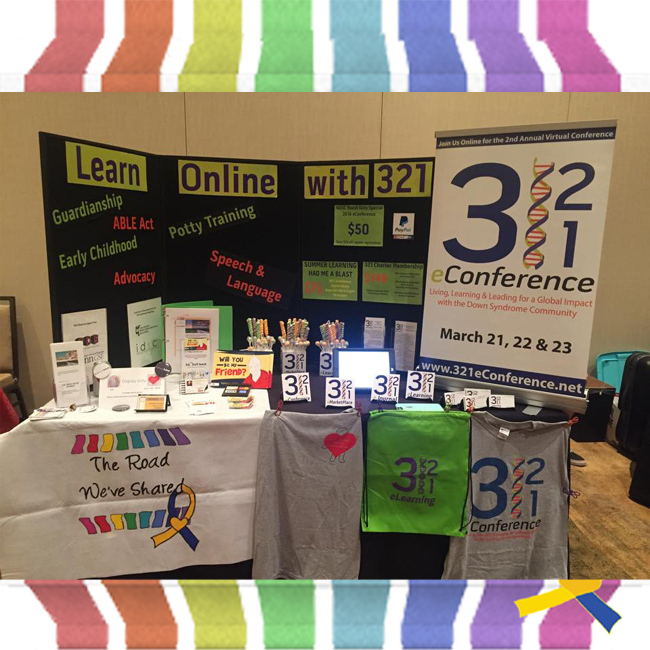 Dev agreed to be our first confirmed speaker for next year’s 321 eConference. She’s going to tell us what happens when she starts college and how she makes the transition from high school. We can’t wait! Next to us in the exhibit hall there was a commotion. 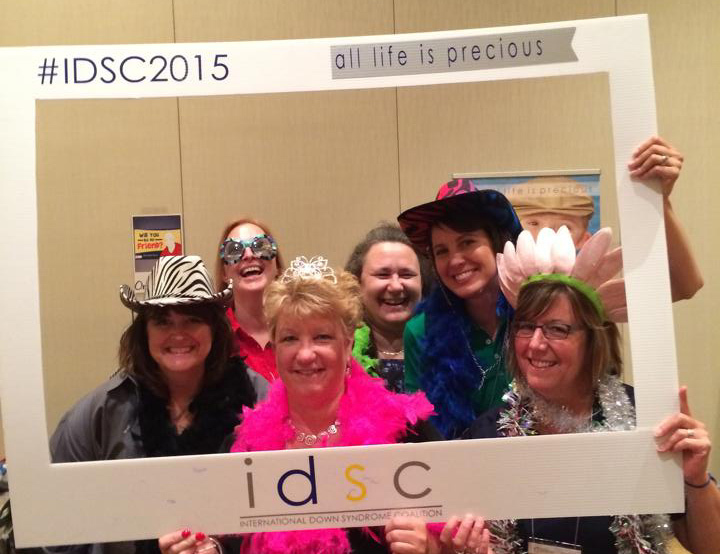 The ladies from IDSC know how to have fun! 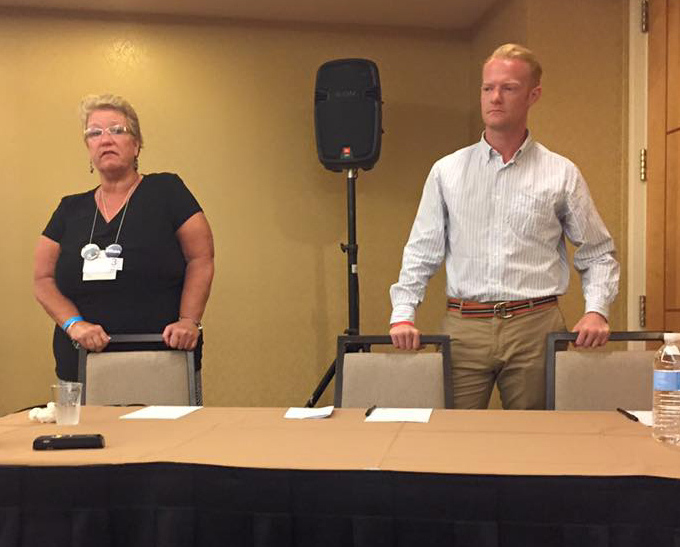 I spent most of my time in the exhibit hall, but I did get to attend the Research & Medical Care Round table hosted by the Global Down Syndrome Foundation on Alzheimer’s Disease and Down Syndrome – What Parents and Caregivers Should Know. There was a great deal of information presented including recommendations for more specialized adult Down syndrome clinics. Every time I see a new iteration of the film I’m more impressed with Director Edward Rhodes’ work. This version had parts of the interviews with two of the eye witnesses to Ethan’s death. Patti and Rhodes answered questions after the screening and gave the attendees ideas about how to reach out to their own local law enforcement agencies.I truly believe that when this film is ready to be presented to the general public it will not only educate viewers, it will empower them to become agents of change themselves. 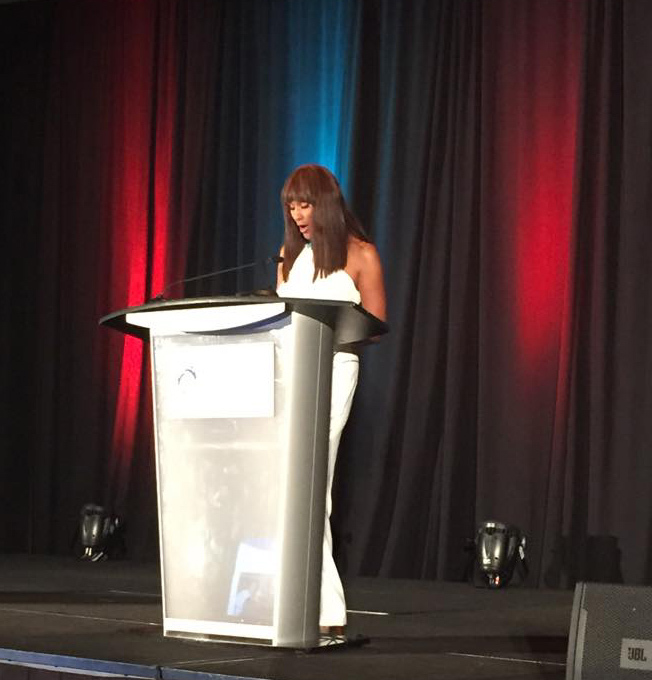 The biggest highlight in my opinion came after the opening plenary speech by supermodel Beverly Johnson. 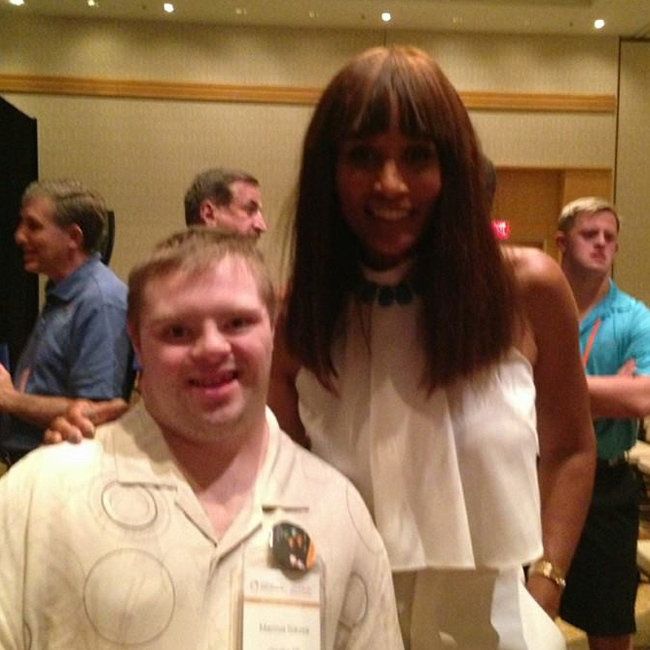 This picture of Marcus and Global spokesperson Beverly Johnson is priceless. You may remember that Ms. Johnson is the only person to publicly discuss the drastic health disparities between Caucasians and people of color who have Down syndrome.Throughout the conference, I used every chance I got to talk about the issue and raise awareness. This picture represents the hope for the future as we work to find out why these statistics exist and what we can do about changing them. I’d like to publicly thank the NDSC for all their hard work. Organizing an event this size is not easy – but they make it look like it is. From speakers to volunteers, attendees to exhibitors, we all love the chance to get together and visit once a year.Next year – Orlando, Florida! And, if you attended the conference and would like to share your experience we’d love to hear from you! Previous PostIs There An ACTOR In The House? : Adults Who Have Down Syndrome Take The StageNext PostAcceptable RIsk?